My silence here has been entirely due to a good thaw and my being able to get back on two wheels again. There was much rejoicing. Something tells me that this is to be short-lived, though, as we are to expect yet more snow over the weekend. Oh well! Let us make hay ride bikes while the sun shines – and knit wool while the snow falls! 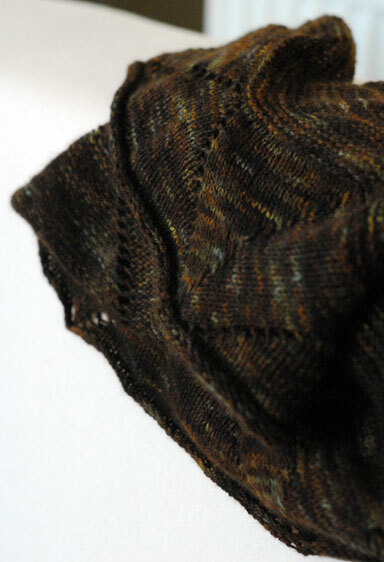 Yarn: Cashmere lace from Hedgehog Fibres in Nutmeg. The yarn was nothing short of a treat to work with. And the colours! When I wound the skein, I thought that there was rather a lot of green in it but the overall effect is really lovely. It is extremely warm and light so needless to say, it’s been getting a lot of wear these days. 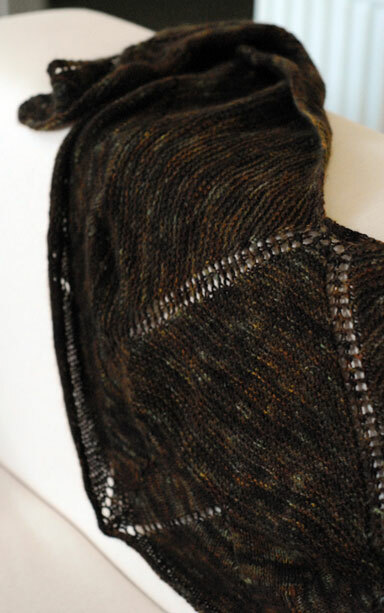 The pattern was straight forward and would probably make a good beginner’s shawl. I finished my Heather Hoodie in double-quick time. It took a few days to dry fully from blocking but it was definitely worth it. I will talk more about it when I get some modelled shots. The buttons I got a long time ago in Knoppenwinkel, Amsterdam. Happy memories! There was wool on special in Lidl last week so I got a bag of brown sock wool – four 50g balls for something like €3.99! 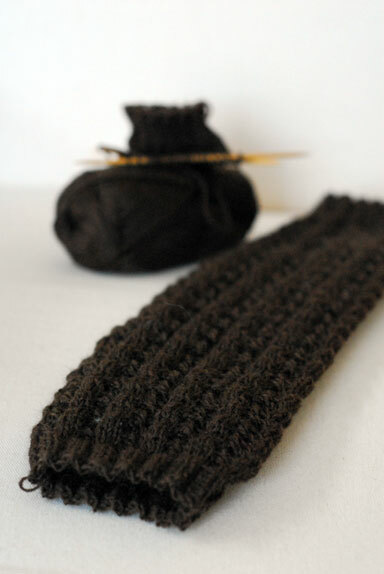 – and cast on for a pair of legwarmers. I’m really not into the ’80s throwback fashion that’s been ongoing but they do seem like useful things. Sometimes my knees get cold on the bike and sometimes my ankles get cold when I’m sitting in the evening. Are you noticing a trend with the brown? I can’t stop myself. I have officially fallen in love. 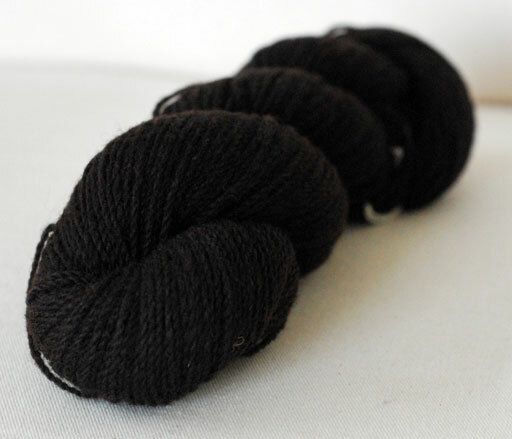 I even acquired some yummy Cushendale DK wool in this fabulous peaty colour to make a cardigan. I have been memorising a Prokofiev sonata the last few days and have found it hard work on my hands. 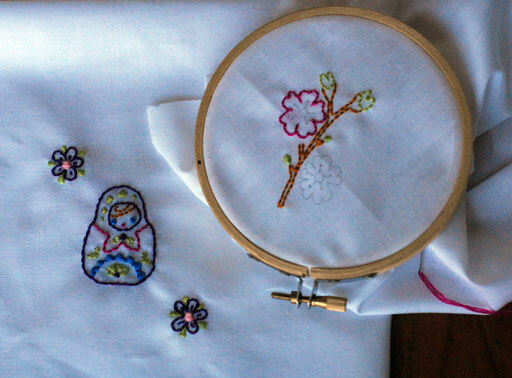 I have begun to realise the importance of appropriate rest so I took up some embroidery. More handkerchiefs! An unusual change in our weather resulted in about 20cm (8 inches) of snow being dumped on us here in the east during the past week. Temperatures have plummeted so even though we haven’t had any fresh snow since Thursday, it’s not going anywhere quickly. I don’t have particularly strong feelings about snow. Some people love it, others loathe it. All that bothers me is how the country really struggles to cope with a sudden bout of bad weather. 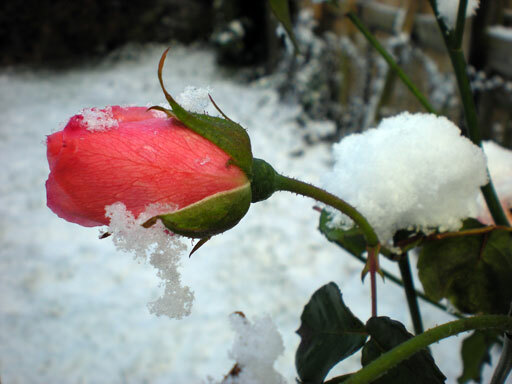 When conditions deteriorate as forecasted, lack of organisation and snap decisions result in chaos. My last day in college was Wednesday. We were unceremoniously turfed out of the building at 4pm only to face cancelled bus services city-wide. I am lucky that I live only 5km from the city centre so I walked home along with countless others. It is easy to compare to others countries and complain how disorganised we are but really, we are totally unaccustomed to such severe weather. Councils don’t have the necessary machinery; people lack driving experience on ice and snow; even appropriate clothing and footwear is hard to come by for a good price. 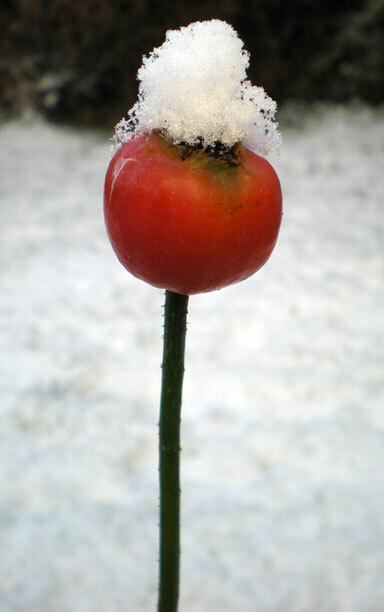 And really, what is the point of acquiring these things when it will probably melt in a few days? I must wait it out and bear with the tedium. I miss riding my bike. I miss being able to wear a normal amount of clothes. I miss being able to go to work or collegeand not turn up completely destroyed from the knees down by salt, grit and sludge. 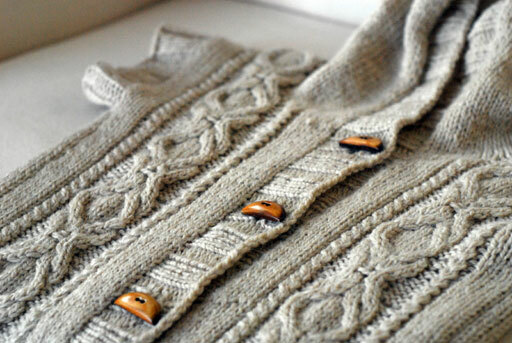 Knitters, let us bow our needles and knit for rain.